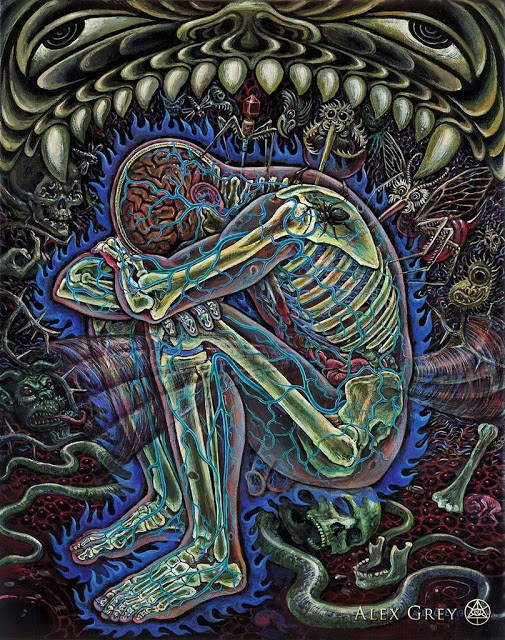 The psychedelic experience is not always full of happy machine elves and rainbow unicorns. Some people prefer to dabble in the darker side of the other side. Back in 2012, ethno-ambient musician Makyo released a four track EP "Purnima" made up of his recent live recordings. This was essentially one take recordings of the live five piece Makyo band setup. It reflected the sound that the group and leader Gio had been perfecting in live situations in clubs and events in Japan over the previous year or so. Well received, as most things Makyo are, the EP represented a chance for fans living outside of Japan to experience some of the magic of a live Makyo event. 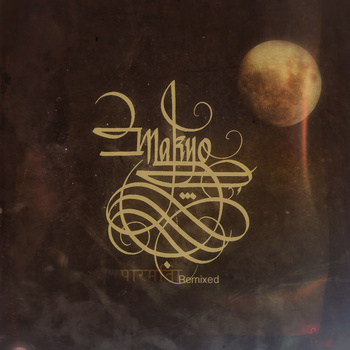 Fast forward to 2014 and Makyo has delivered a remix version of that EP in the form of "Purnima Remixed". This is quite a tantalizing idea I think as it allows new life to be breathed into the original album while keeping both distinctly separate thanks to a live vs studio based pairing. So essentially here we have Makyo remixing his own music. An excellent tune with plenty of the signature Makyo mandolin like sounds, ethnic tribal chants and dubby feedback delays. It's been spiced up with a bit of a heavier bass sound that takes its inspiration from psystep wobbles but doesn't sound the least bit cheesy. If there is one thing you can say about Makyo's career - he has never sold out nor released a poor track. Every thing he does is gold. For this reason he is one if the most respected artists in the ethno downtempo space and long may it be so. Beautiful spacey tune that unfolds like a wondrous exotic flower.